Your Fellow Stamper: UStamp: Year End Blow Out - My First Project Just Went Live! 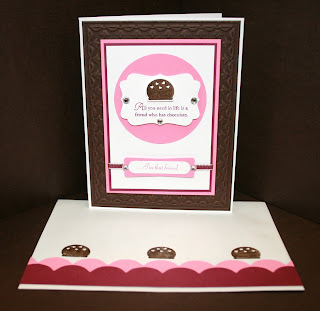 UStamp: Year End Blow Out - My First Project Just Went Live! 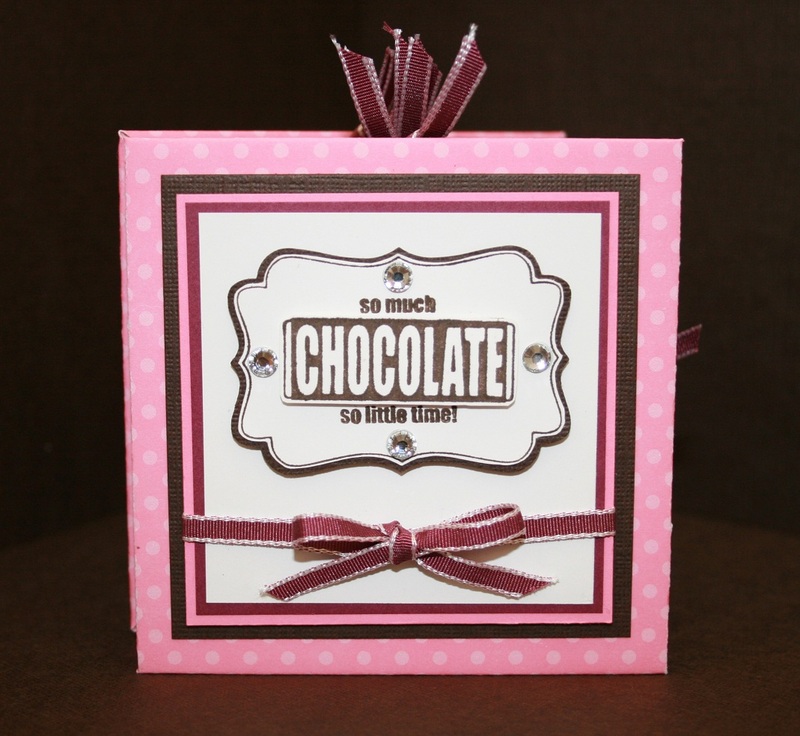 My first project for UStamp: Year End Blow Out just got posted today and I wanted to give you a sneak peek. 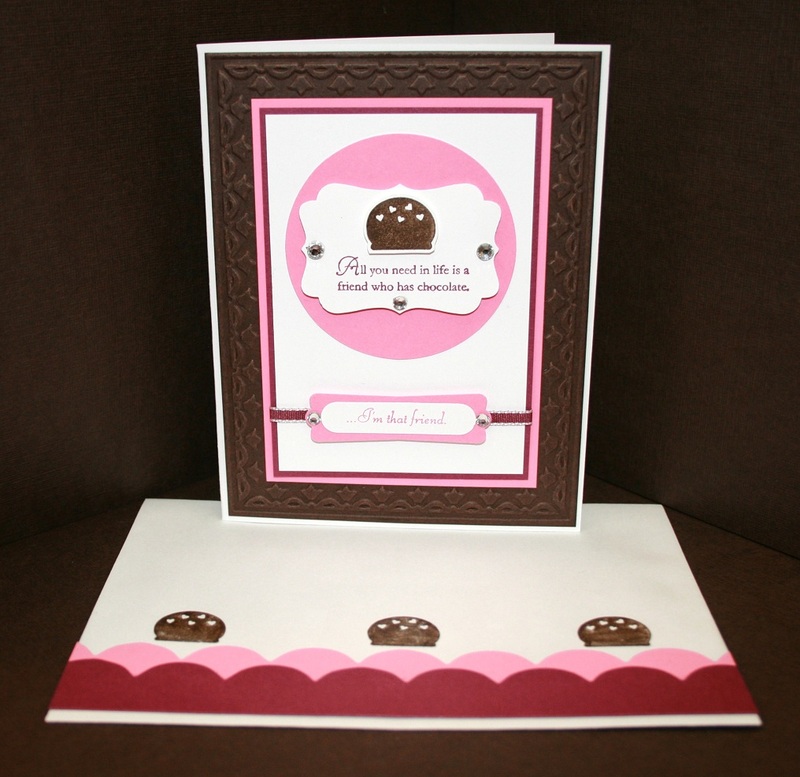 This is a Meander Book and a matching card with envelope. The book is a mini album that uses a full 12 x 12 paper for its base. Lots of spaces to put pictures and journaling. To learn more about UStamp and to sign up to this amazing event, please click on the link on the right side of the screen and it will take you to the sign up page. There is still plenty of time to join the party and enjoy the 40+ tutorials, chats and prizes. 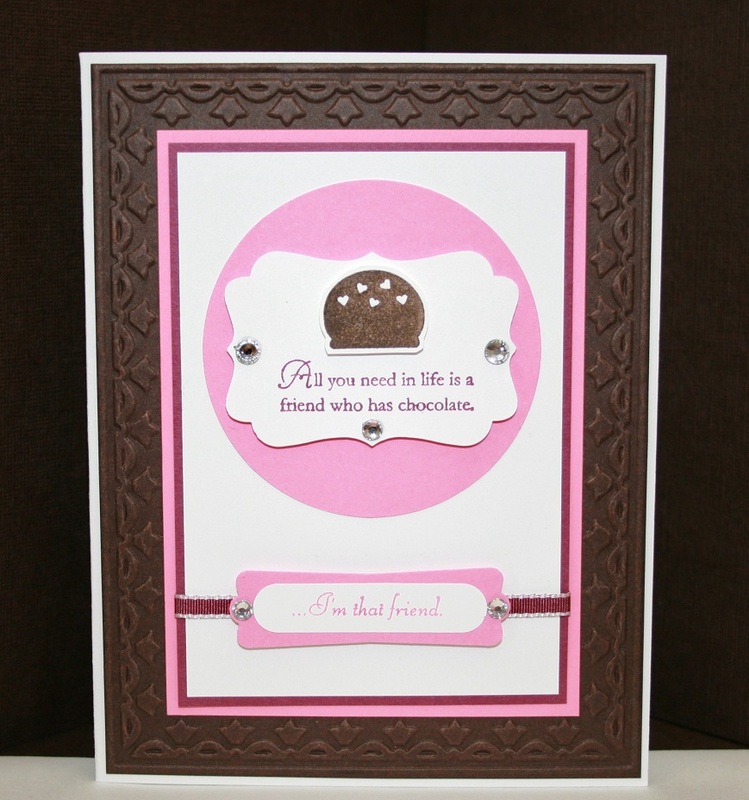 For this project, I used the Eat Chocolate Stamp Set that can be found in the new Occassions Mini Catalog and also the new embossing folder. 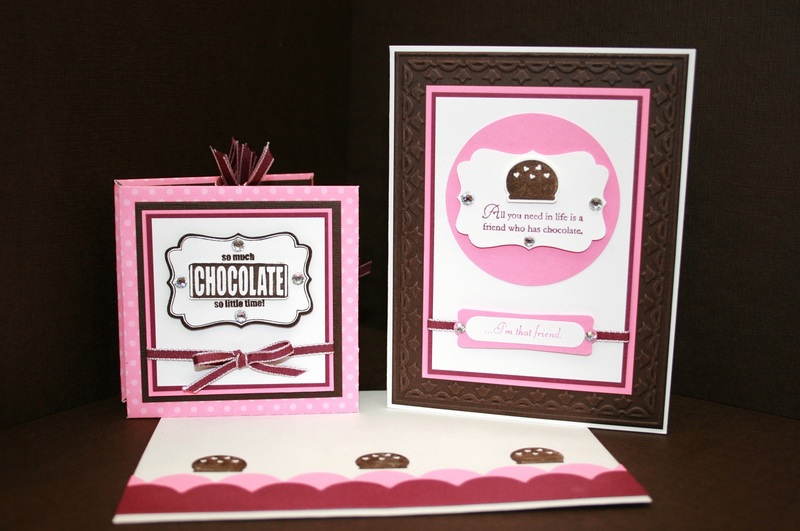 These 2 are just some of my favorites from the new mini catalog. 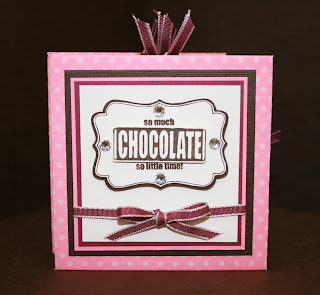 Awesome card project Gilda...........looks so yummy! You made some very pretty cards. Love the colors you used. Gorgeous Gilda...see you at UStamp! Occassions Mini Catalog Is Now Live!